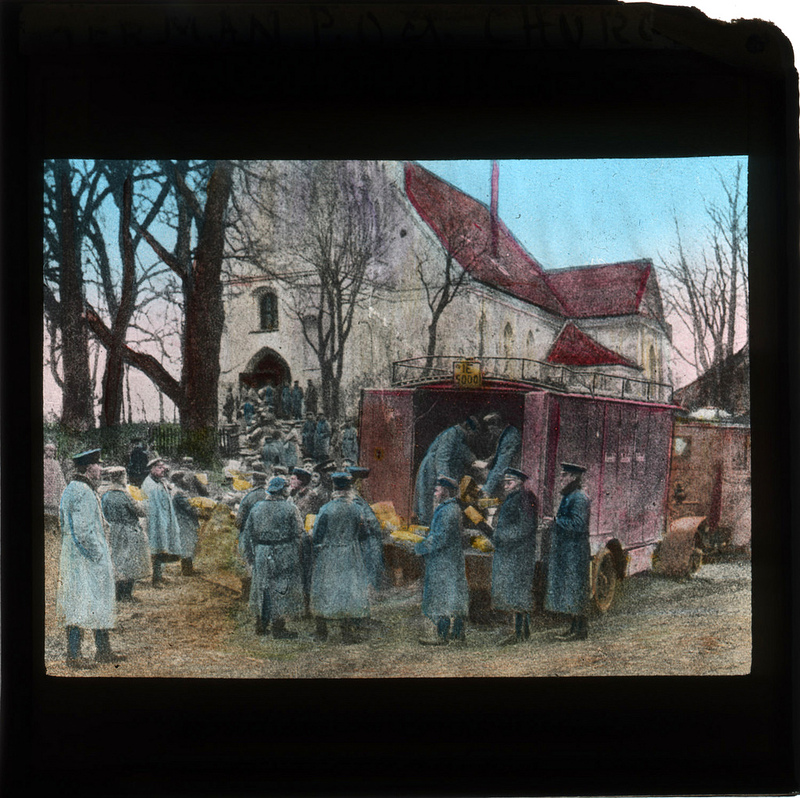 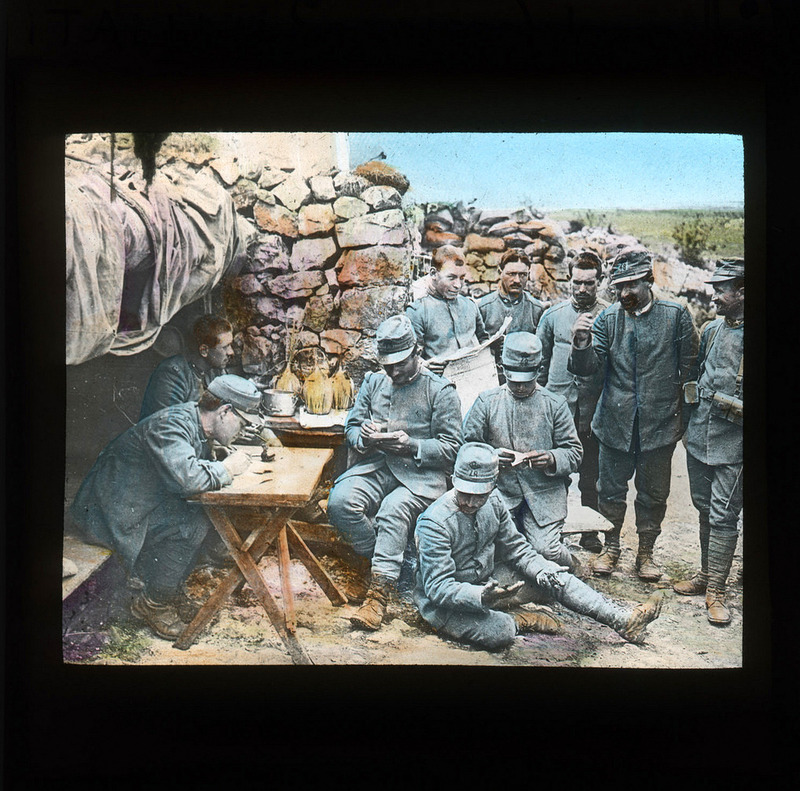 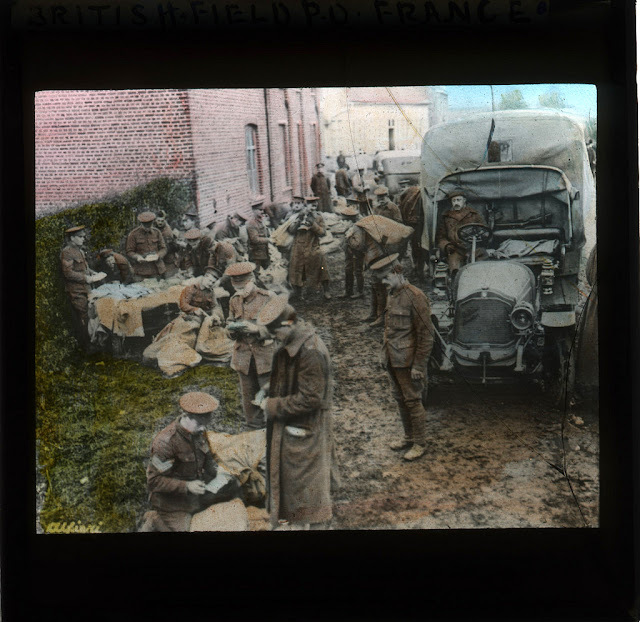 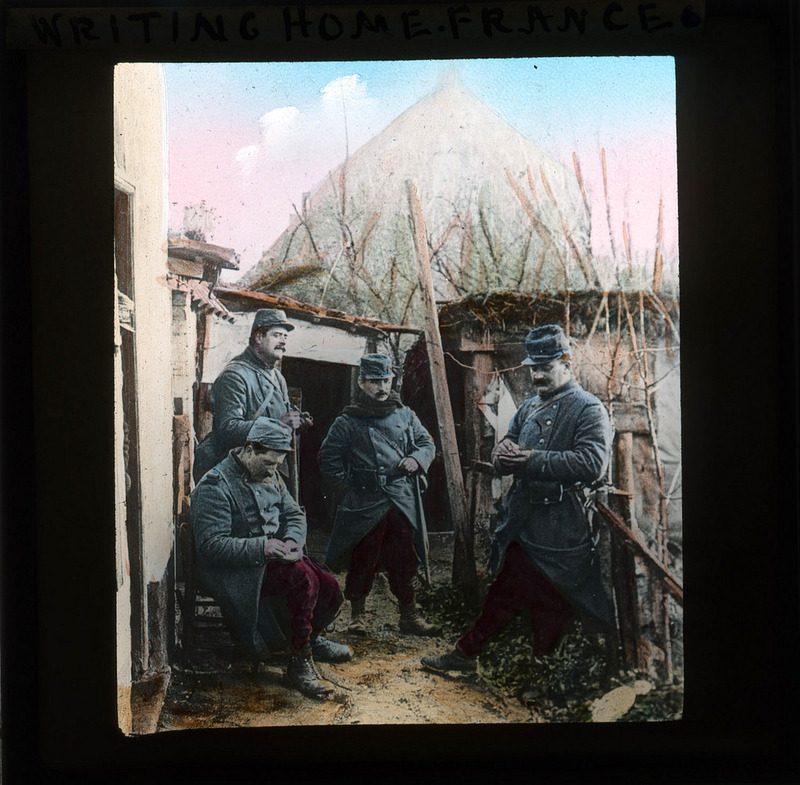 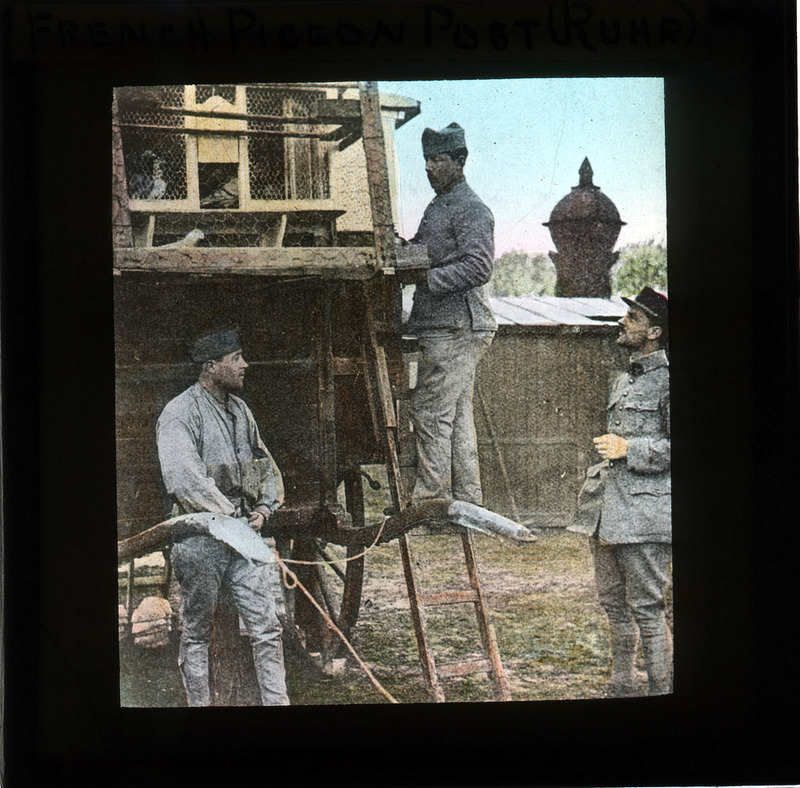 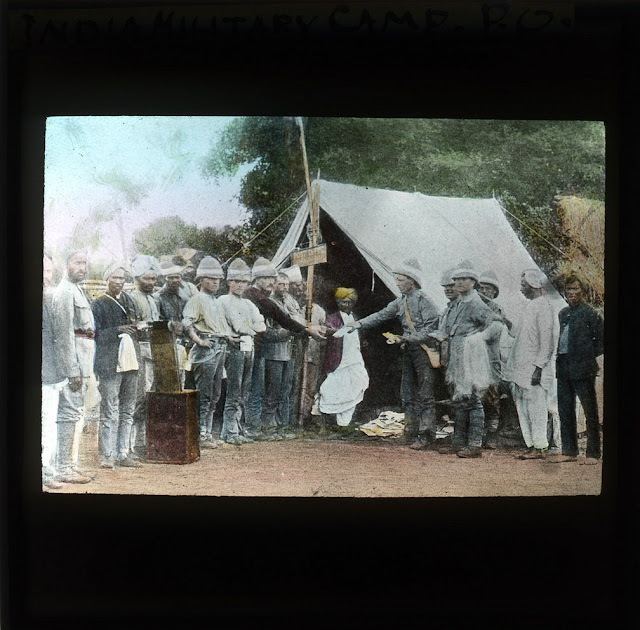 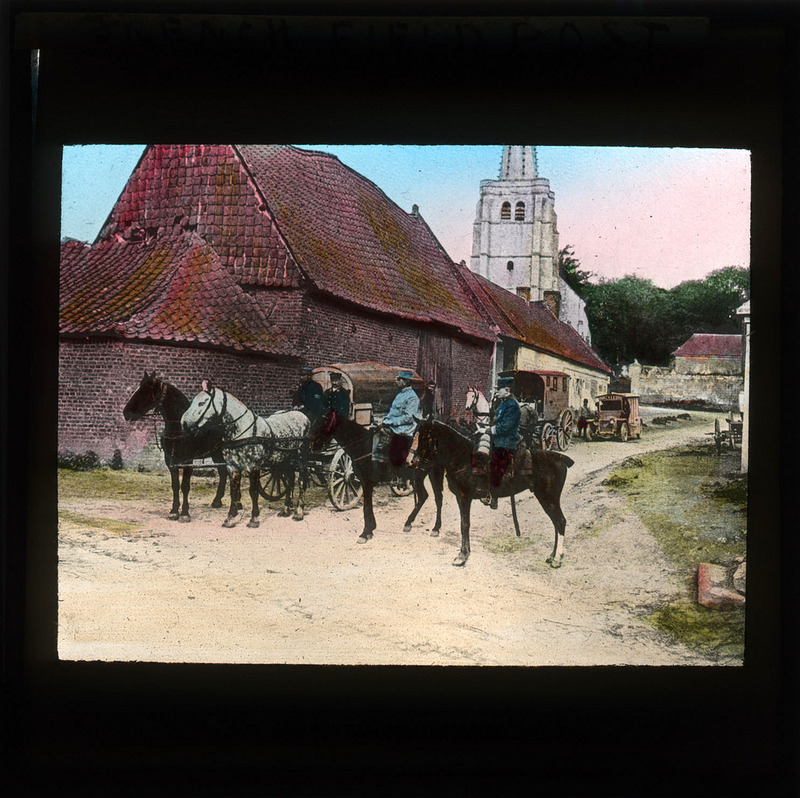 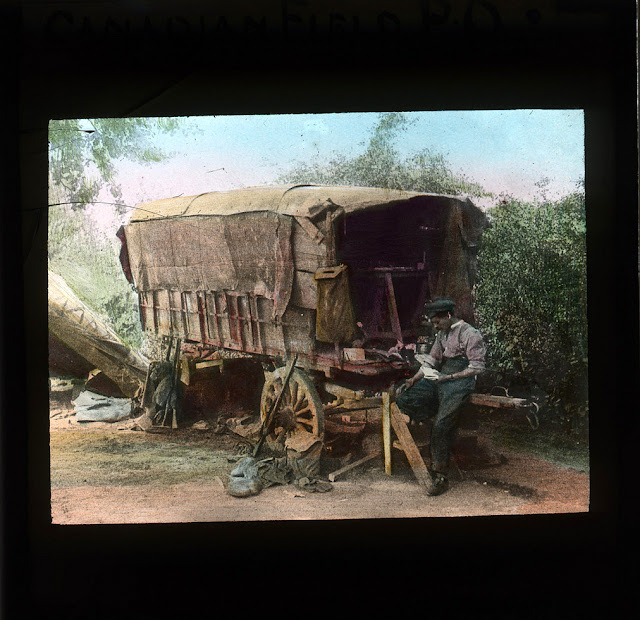 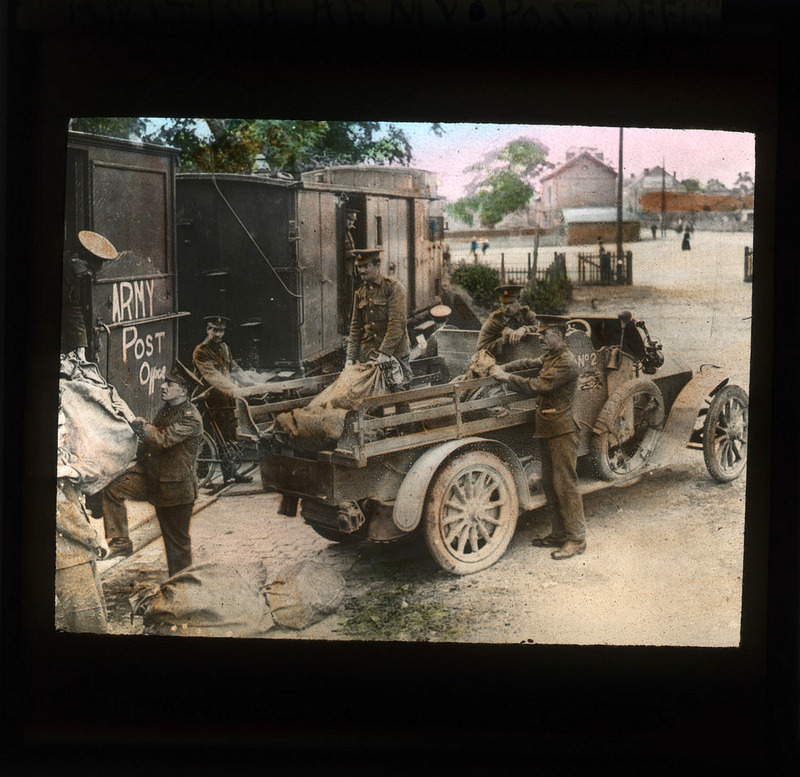 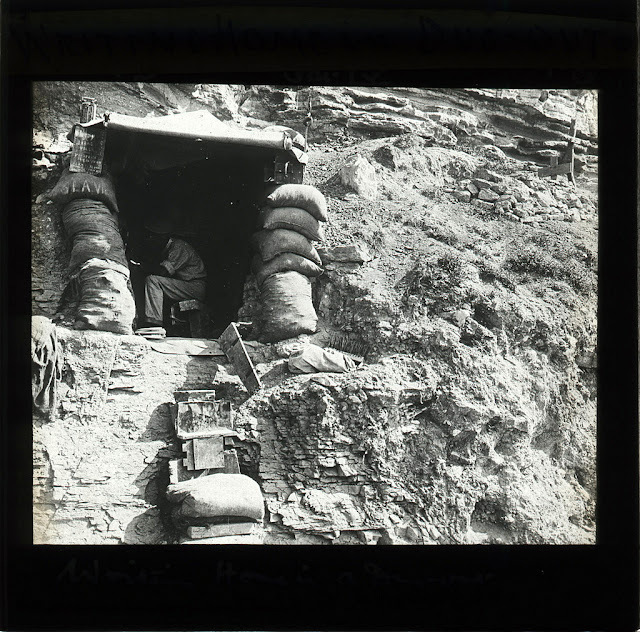 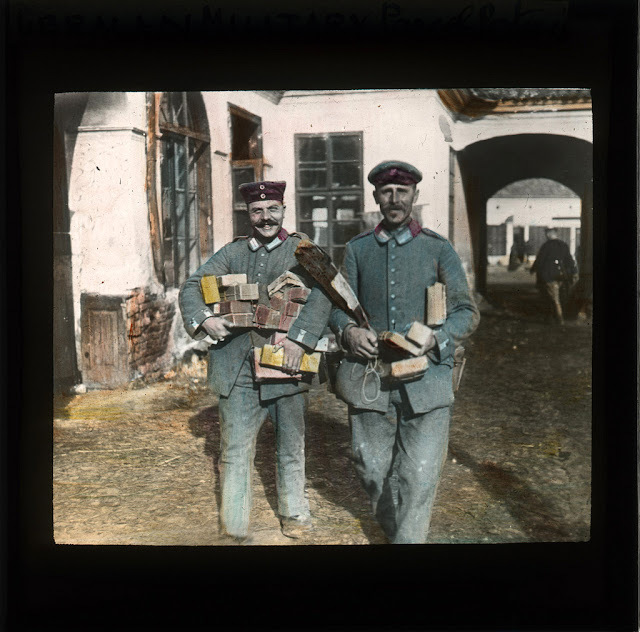 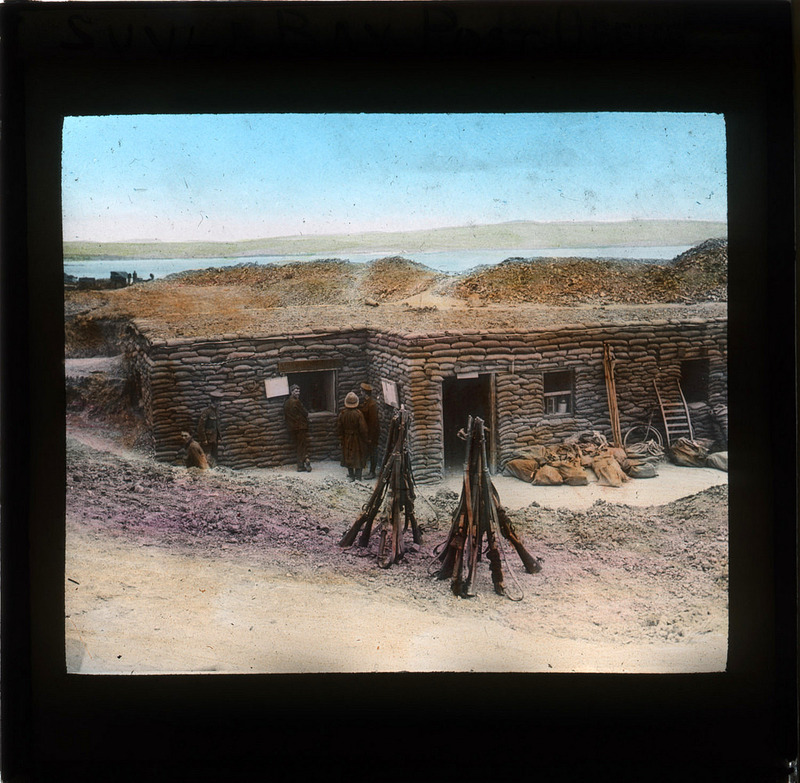 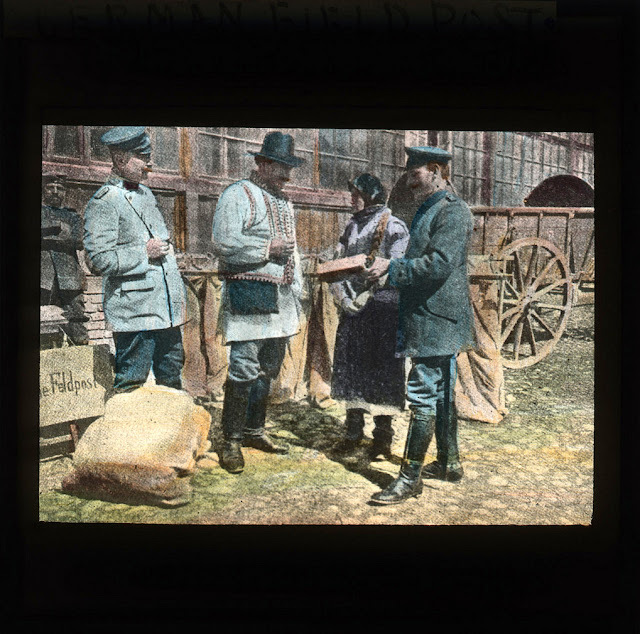 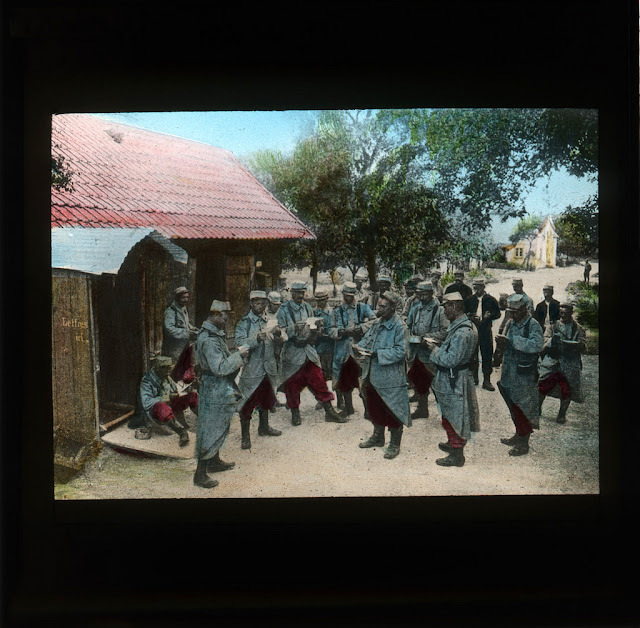 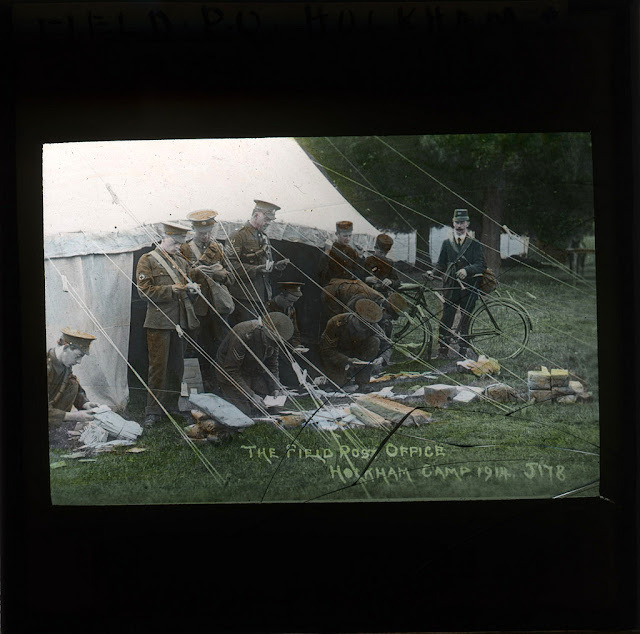 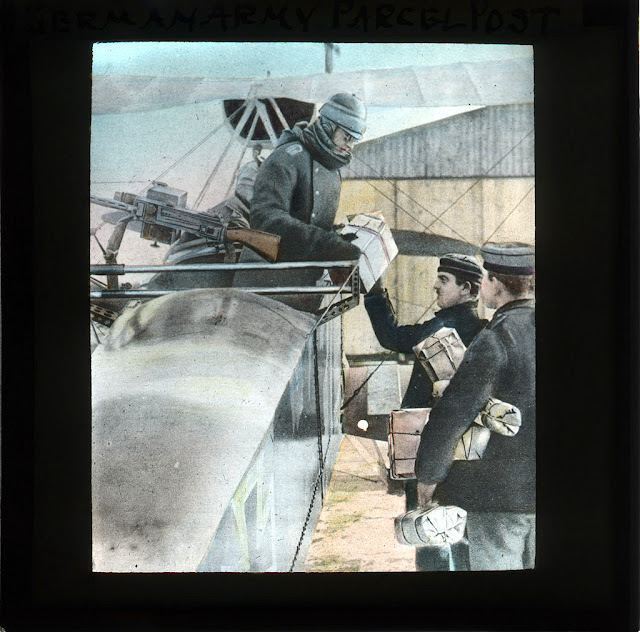 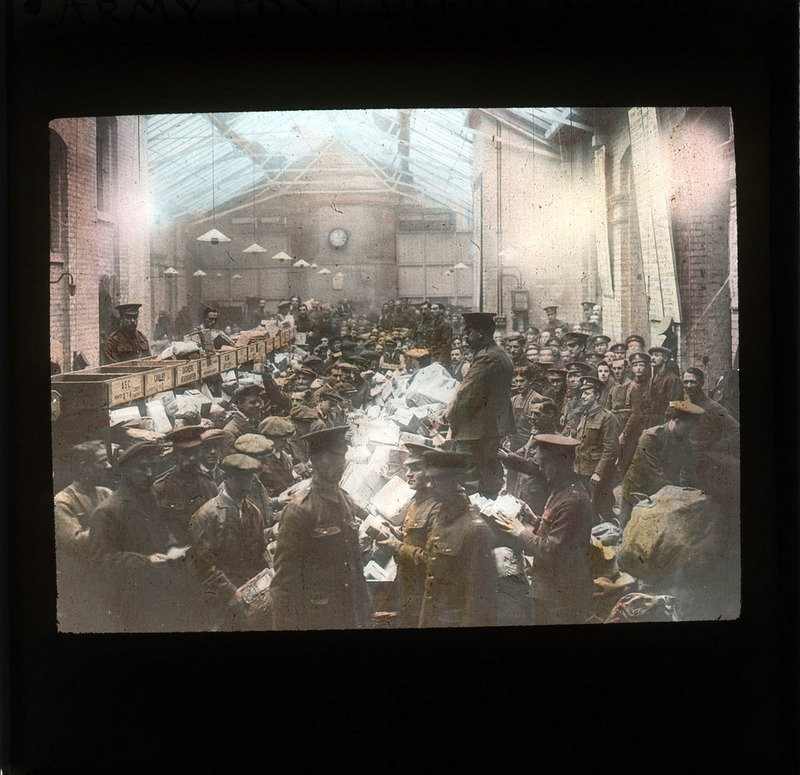 A collection of lantern slides from The Postal Museum showing postal operations for various nationalities during the First World War. 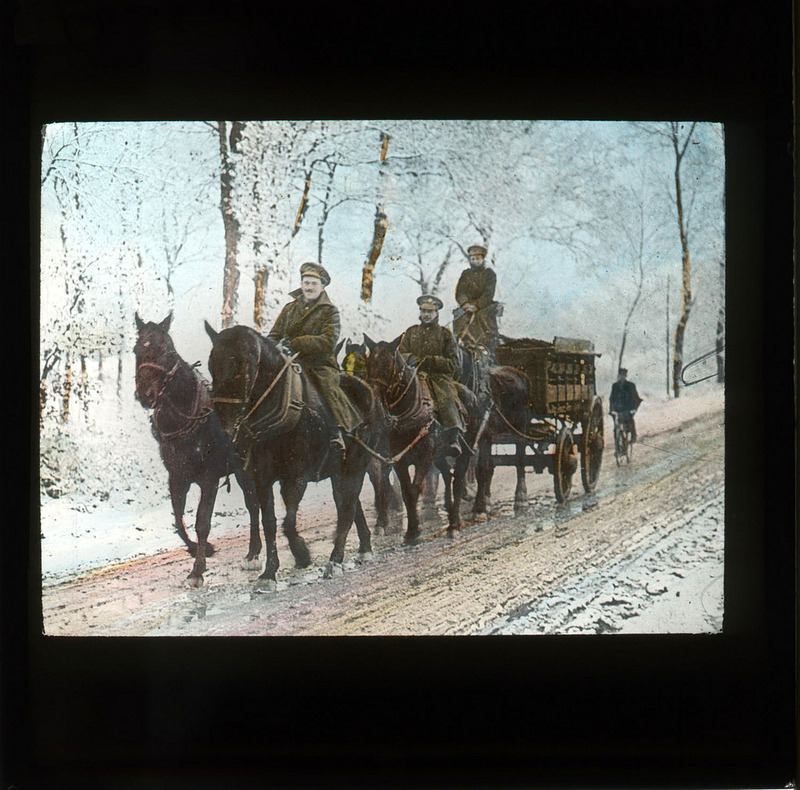 Most of these photos were hand-colored. 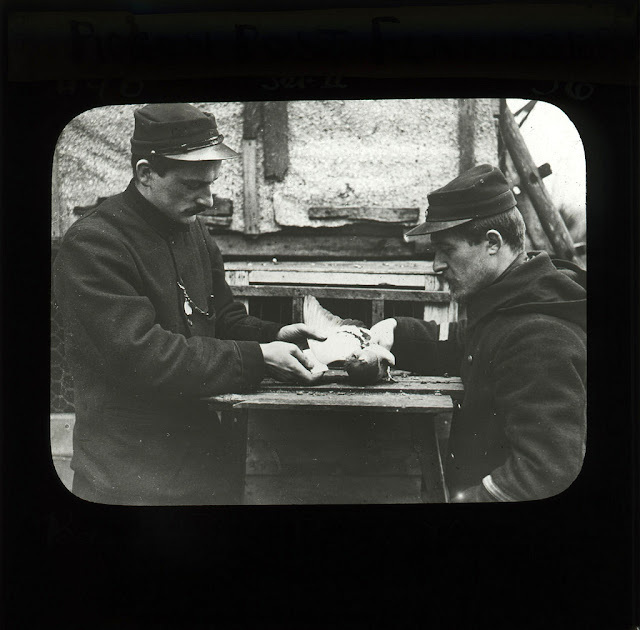 Handwritten captions in black ink on labels above the images were shown below the slides.